ST. GEORGE — The fire that started Sunday night on Mokaac Mountain, burning approximately 2,000 acres, is 20 percent contained as of Monday morning. The fire started Sunday around 5:10 p.m. on the Arizona Strip, 15 miles south of St. George. 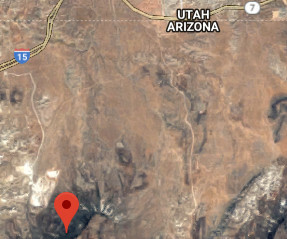 The wildfire was caused by lightning and is primarily fueled by short grass and brush, according to the Bureau of Land Management Arizona Strip District. Local resources including four fire engines, an aerial supervision aircraft, four single engine air tankers (SEAT), a Type 2 helicopter, a Type 3 helicopter, one heavy air tanker and a Type 2 Initial Attack crew are responding. Currently there are no closures, and no structures have been threatened. Fire managers request that the public travel cautiously on 1069 Quail Road and avoid travel on the 1038 road to allow access for fire resources. Drone use is prohibited near or over fires. Use of drones near a fire cause serious risk to firefighter and public safety. Unauthorized drones near a fire may ground aerial firefighting aircraft until the drone has left the area, inhibiting their ability to fight the fire. To keep drone pilots aware of flight restrictions, the FAA has developed an easy-to-use smartphone app called B4UFLY. The app helps drone pilots determine whether there are any restrictions or requirements in effect at the location where they want to fly. B4UFLY is available for free download in the App Store for iOS and Google Play store for Android. Additional information from the FAA is available here.